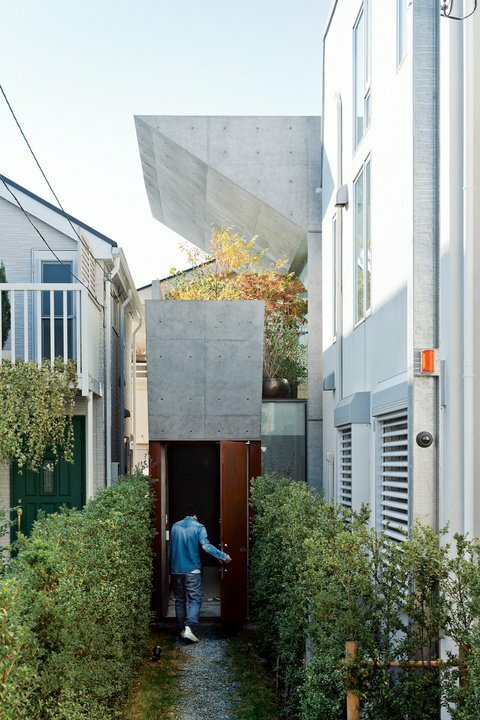 In a tight-fitted spot of a crowded Tokyo neighborhood, the L-shaped Bent House created by a friend of the homeowner, Koji Tsutsui, is a concrete box that is more than meets the eye. Photo by Iwan Baan. After purchasing a thin, L-shaped lot in Tokyo, Tamotsu Nakada asked architect and friend Koji Tsutsui to create an open-plan concrete home to fit the site. Photo by Iwan Baan.